Supervisory control and data acquisition (SCADA) is a system of hardware and software that allows manufacturers to precisely control and monitor a variety of industrial processes. Implementing SCADA can seem daunting, but these SCADA control panel systems offer a lot of compelling advantages. Here are a few reasons to stop thinking about SCADA and move forward with implementation. Installing a comprehensive SCADA system requires engineering expertise, but a good partner will take the time to understand your needs, then design a SCADA system to help you achieve your goals. Once in place, SCADA systems really deliver. Working with human-machine interface (HMI) software like SpecView and touchscreen control panels, it is intuitive and easy to use. It simplifies and automates data acquisition and storage, and makes managing batches and recipes simple and repeatable. SCADA also allows for remote monitoring and operation, providing secure access from anywhere with an internet connection. SCADA systems greatly enhance performance because of their sophisticated ability to meet precise tolerances and exactingly repeat jobs. Whether you’re controlling one furnace or dozens of pieces of hardware, a SCADA system can ensure they perform as assigned every time—all while monitoring, acquiring and processing data to meet any industry standard. Should a problem arise, a SCADA system will immediately alert the user, allowing for fast diagnosis and resolution of any errors or equipment problems. In some cases, troubleshooting can even be done remotely. Whether you need to meet the rigorous standards of Nadcap, AMS2750, CQI-9 or other industry requirements, a SCADA system is a vital tool. These industry standards demand high precision and extensive documentation, and SCADA delivers outstanding capabilities in these areas, including process control, data acquisition, reporting, time stamping and operator signatures, among many other features. 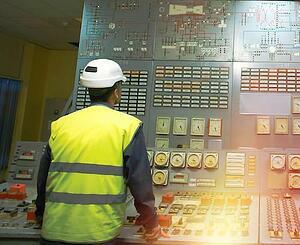 SCADA systems make your operations more efficient. They reduce training requirements due to ease of use and require less labor to correctly process jobs, monitor and document activity. The automation capabilities of SCADA are extensive, and can grow with your needs. SCADA implementation can quickly pay for itself, and it’s scalable, so you only need to buy what you need to achieve your goals. A SCADA system is not a one-size-fits-all solution. Work with a provider who is willing and able to engineer a custom solution for your requirements. Be sure to choose non-proprietary SCADA systems that allow for easy installation, can often work with existing equipment and can grow with your needs. Whether you simply want enhanced data acquisition capabilities or a completely automated control system, SCADA will make your plant run more efficiently, reduce demands on your workforce and enhance the output of your product. To learn more about how a new SCADA system or an improvement to an existing SCADA system can make your life easier, contact Conrad Kacsik today.